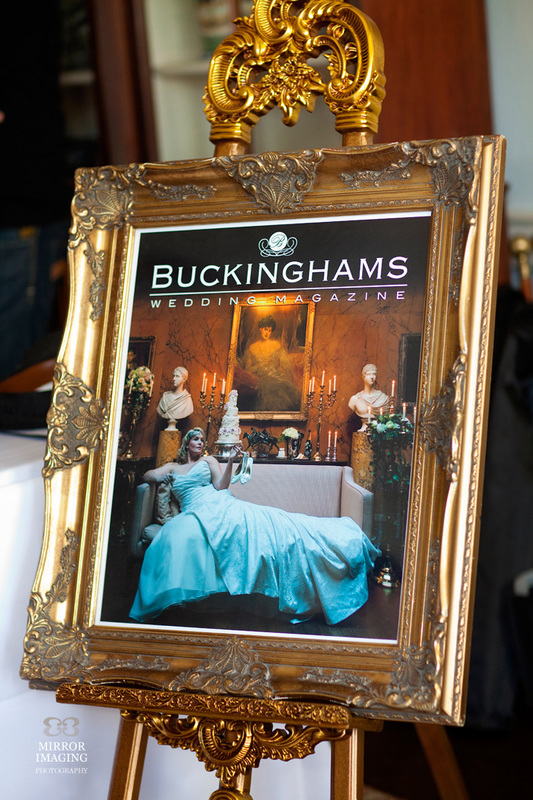 Beautiful carved easels to hire for weddings and events. All colours and wood finishes available. For more info please get in touch. 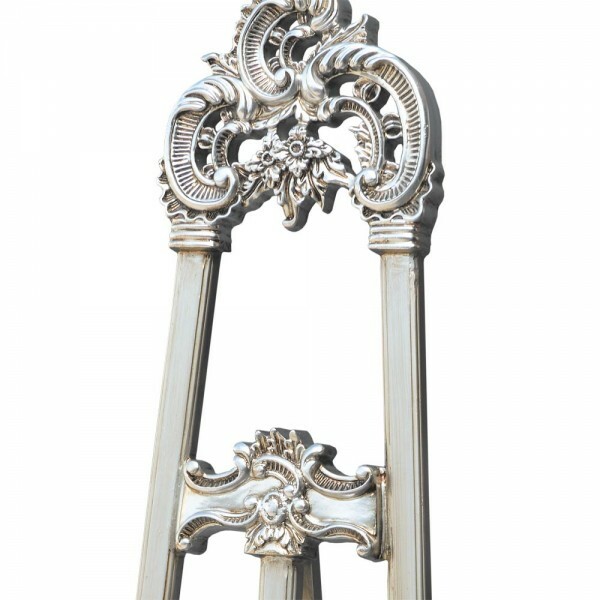 Carved silver easel with intricate detailing. 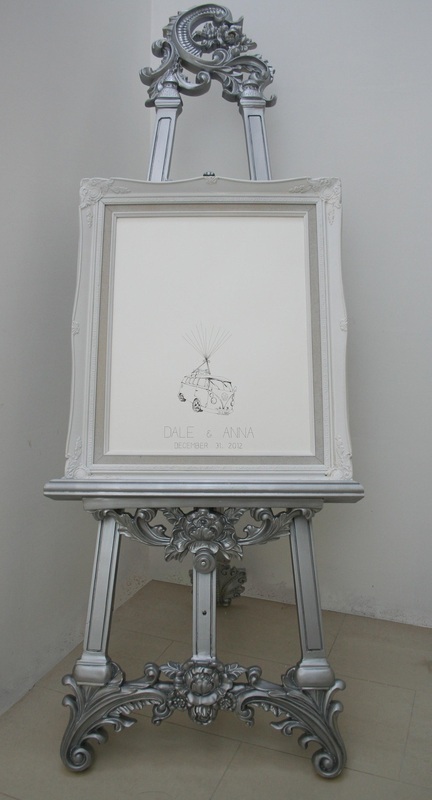 Perfect for table plan or to present our finger print guestbook. 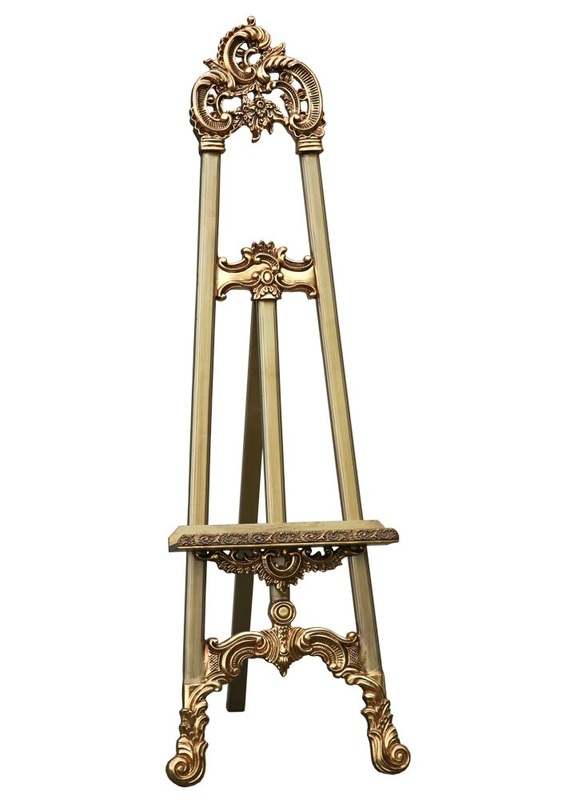 If you do not wish to cover any of the detail at the top of the easel we recommend your frame measures no more than 84cm. If your frame measures more than this it will start to cover the detail at the top of the easel. The detail measures 29cm to give you an idea of size. Carved white easel. 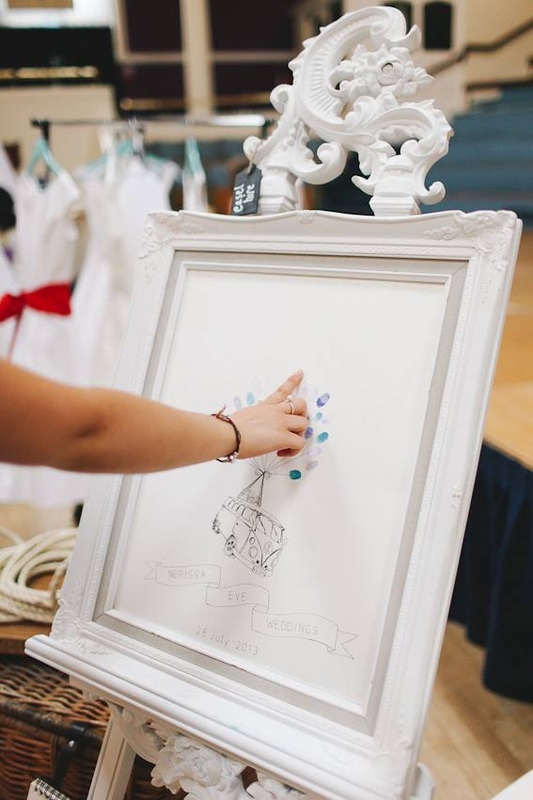 Seen here being used with one of our finger print guest books. 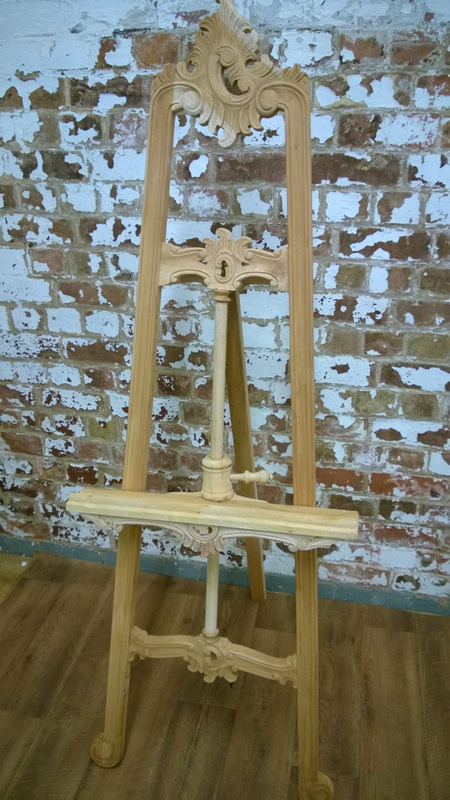 Solid wood easel with intricate detailing. Also available in silver (as above) and gold. 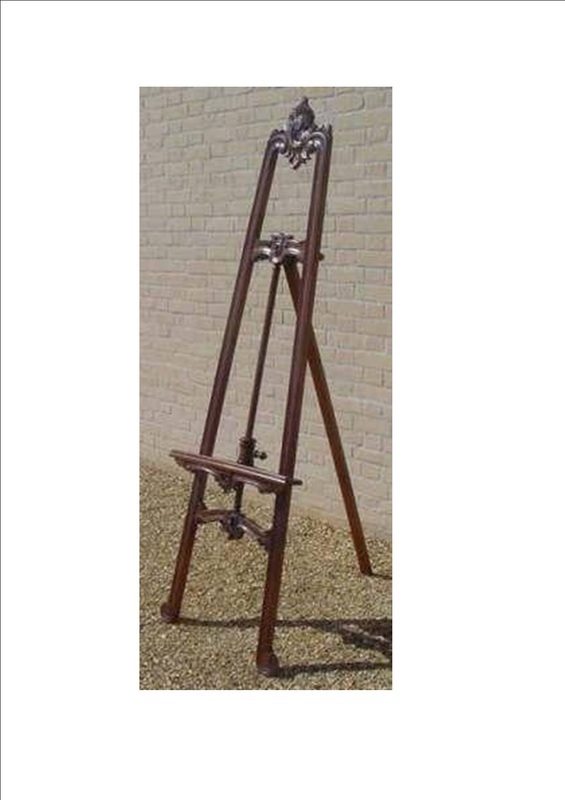 Mahogany easel. Beautiful Indonesian hand carved easel. Natural carved wooden easel. We have a quantity of 7 of these beautiful Indonesian carved easels so perfect for larger events. 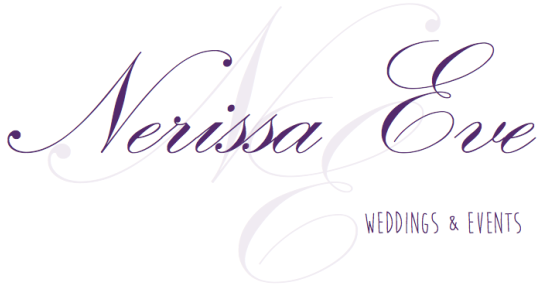 We are based in Market Harborough (Midlands), Leicestershire the easels can be delivered or collected. As this is a large fragile item please fill in the contact us form with your location and we will get back to you with the delivery cost.